As part of my participation in the Eat Write Retreat, The Golden Door Spa sent us food bloggers some of their amazing packaged mixes. I decided to work with their Moroccan Harari Soup Mix. I first made risotto with the mix, then I used the leftovers make up the arancini. 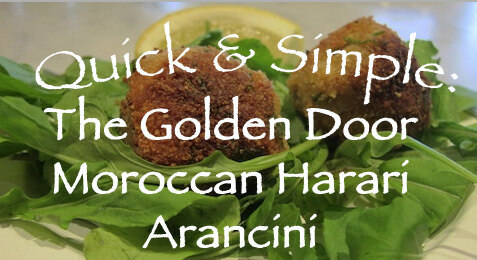 You can find the recipe for The Golden Door Moroccan Harai Arancini here!